Every classroom, office and circle of friends has one: the bold, eccentric attention-grabber who welcomes awkward moments, relishes in confrontation, and isn't afraid to speak her mind. 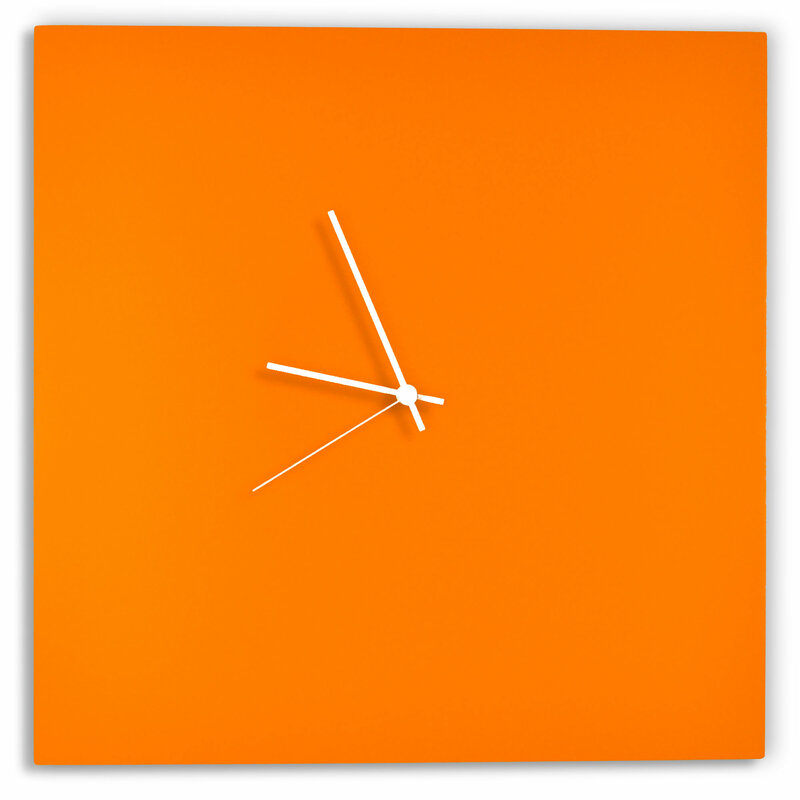 This orange square clock is a nod to the feather-rufflers; a vibrant accent piece for a common wall in need of colorful decor. The brilliant orange body has painted hands in contrasting colors for an attractive eye-catching display. With a square shape that is quite versatile, this piece provides color, texture and intrigue to your wall.